LogiLink’s CAT 6A patch cables deliver up to fast 10G data network performance. It is conform to industry standards and European regulations. Our Premium Line CAT 6A Ethernet Patch Cable has strain relief boot and molded ends with a snagless boot design to make easy and secure connections. 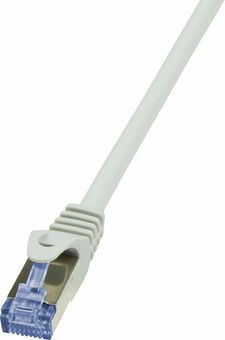 We carry CAT 6A patch cables in many different colors and lengths. For areas of high electromagnetic interference (EMI), it is equipped with high-quality braid shielding. That makes this CAT 6A patch cable flexible for easy installation and the four foil twisted pair shielding helps eliminate crosstalk.